Published: June 24, 2013 at 12:01 p.m. Updated: June 24, 2013 at 01:25 p.m.
Wimbledon starts this week and the famed Centre Court is on the bucket list of many sports fans. And since it's the offseason, here's a countdown of the 12 must-see stadiums in the NFL right now. 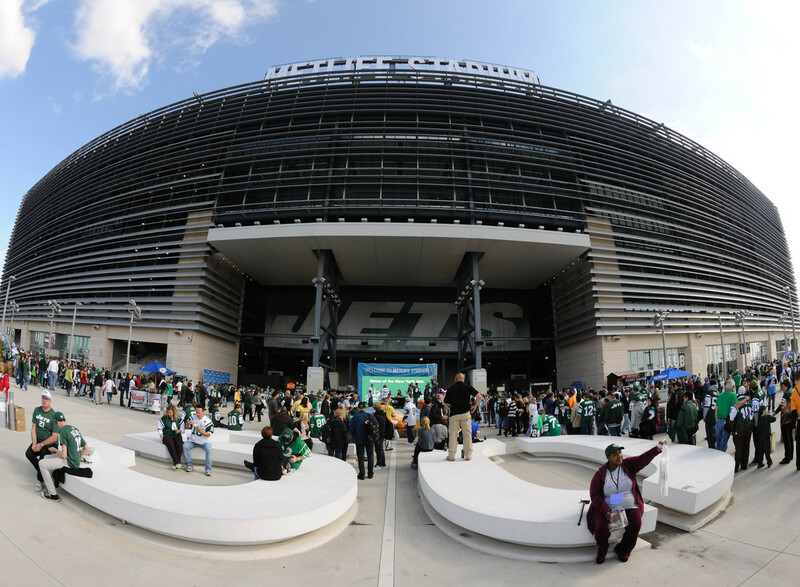 Our list of must-see stadiums starts where the NFL season will end in 2014, MetLife Stadium. This is a big year for the stadium, as it played host to Wrestlemania in April and now the Super Bowl. I won't tell you which one impresses me more. Well, this isn't a great park, but the Stick will make way for a new stadium in Santa Clara after this season. There's a ton of history in the stadium (not just the 49ers, either). And it is one of the last multiple purpose stadiums around. I don't know about you, but I love photos of football being played in baseball parks like Yankee Stadium, the Polo Grounds and old Anaheim Stadium. The best of both worlds as this is a historic stadium combined with all of the amenities of a new ballpark. (Can we call an NFL stadium a ballpark?) Plus, Chicago. Set right on the water, Heinz Field is in an ideal location. If you could combine this with a trip to the Pirates' ballpark next door, this one might shoot to the top of the list. If I could fire up the DeLorean, I would want to go sit in those end zone seats at the old Mile High Stadium just so I could stomp on the ground while the Raiders were in the locker room at halftime. Still, the new Sports Authority Field is no slouch. I feel a kinship with Philadelphia fans because of our mutual troubles with fans from Boston and New York. So an Eagles game at the Linc (preferably against an NFC East rival) would be awesome. The Chiefs boast one of the best game-day atmospheres around. And if you've ever had Kansas City BBQ, you will know it's as good as advertised. I know it seems cliche to say that, but it's the truth. This is one of those stadiums you just have to see to believe. And considering how bland the original Texas Stadium was, this has to be the biggest upgrade ever. Well, until the 49ers get their new stadium. Lucas Oil Stadium was one of the recent hosts of the Super Bowl, and sure to annually be in the mix for more. Plus the vibrant downtown just adds to the experience. The Seahawks retired the No. 12 jersey for a reason. The Seahawks have the loudest fans as evidenced by an appearance on the Richter Scale during the 2010 playoffs. This is another stadium that boasts a great pregame party. Just kidding. I wanted to make sure you were paying attention. Is there any doubt about what was going to top this list? This should be a must-see for any football fan. What's funny is people might think this stadium dates back to the 1920s, but it was actually opened in 1957. Still, it makes it the second-oldest stadium in the league behind Soldier Field which originally opened in 1924, but didn't play host to the Bears until 1971.